Historic St. Mary’s City’s 8th Annual Bridal Show will be held Sunday, February 24th, 2019. 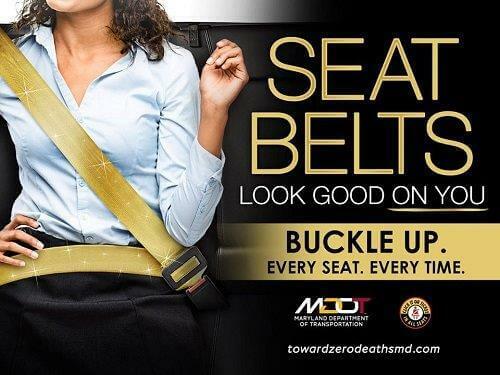 The show takes place from 1 p.m. – 4:00 p.m. at the State House of 1676, located on the grounds of Historic St. Mary’s City at 47418 Old State House Road, St. Mary’s City, MD 20686. Join us and our many vendors to help with your wedding planning. Visit with the experts – wedding planners, photographers, florists, caterers, officiants, transportation, lodging, stylists, make-up artists, DJ’s, bakeries, clothiers, jewelry designers and wedding locations to name a few. Visit our beautiful venues – The State House and lawn, The Margaret Brent Gazebo, the Inn at Brome Howard and the Maryland Dove. Plan to spend the day and register for our door prizes. There is no charge if you register by February 16th. Email: events@digshistory.org or call 240-895-4991. The cost will be $5 at the door for unregistered guests. We hope to see you there for this amazing day. 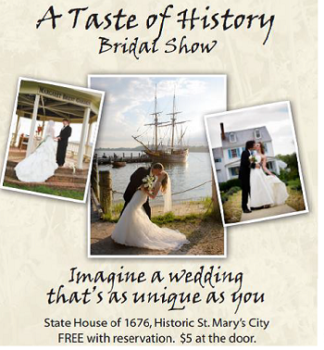 https://hsmcdigshistory.org/event/taste-history-bridal-show This is the direct link to the registration form.